LOFFT – We Rock The North, VÖ am 19.2.2016! Mit „We Rock The North“ haben Hamburger Jungs von LOFFT dem Headbanger’s Ballroom eine neue Hymne geschrieben. Der Kult-Club von der Waterkant rockt den Norden und wird seine neueste Veranstaltungsreihe auf der MS Stubnitz mit dem härtesten Song feiern, den LOFFT je geschrieben haben. Leinen los, mit diesem Song nehmen LOFFT fahrt auf, hier wird hart am Wind gesegelt! LOFFT – We Rock The North, out February 19! With „We Rock The North“, LOFFT have written a hymn for one of the most unique heavy metal meeting points in the world: The Headbanger’s Ballroom in Hamburg is well-known all over Europe. Every Wacken-visitor has started his ride to the holy land by drinking a pre- or aftershow beer directly at the waterfront. The club is closed, but the party goes on – on the river, on board of the MS Stubnitz. Celebrate it with one of the hardest songs ever written by LOFFT. LOFFT – New album ‚Follow To Survive‘ coming June 12th 2015! Lyric video for „Inferior“ out now! LOFFT – Follow To Survive out Friday, 12 June! Call it what you like – „Modern Rock“, „Alternative Rock“ – LOFFT from Hamburg, Germany celebrate the Rock, that old four-letter-word. Their songs are energizing and straight to the point – and you’re welcome whether you want to headbang or dance. Songs like „All I Ever Wanted“, „Count On Me“ or „Inferior“ practise the riffs somewhere between CREED, PUDDLE OF MUDD and VOLBEAT. LOFFT’s real strength is the ability to write great ballads. If „Talented To Hurt“ doesn’t melt your heart, you have none. via Make Big Records / Believe Digital / Soulfood! Rock’n’Roll braucht kein Gefrickel – und der beste Beweis dafür ist die Hamburger Band LOFFT. Die Songs von LOFFT sind schnell, direkt und schnörkellos und sorgen sofort für Bewegung im Publikum. 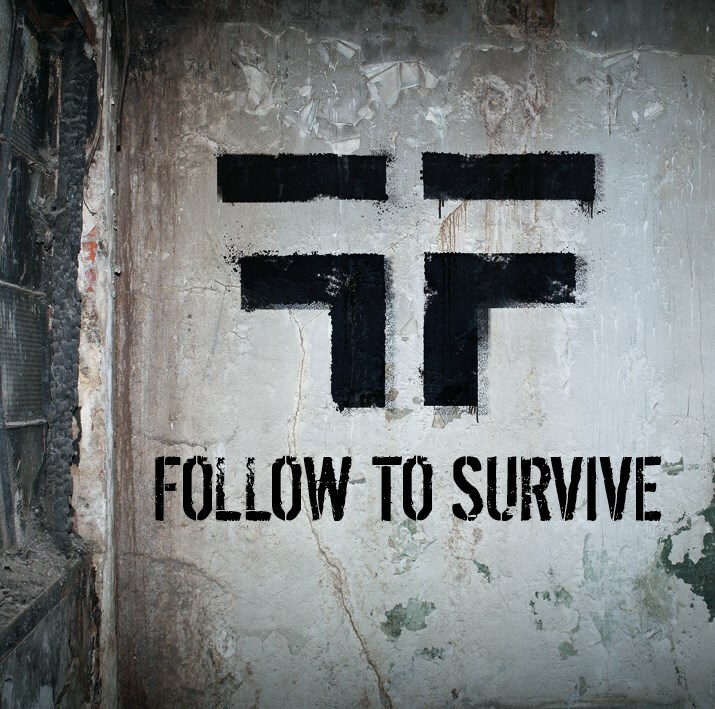 Auf dem Album „Follow To Survive“ heißen die neuen Hits „All I Ever Wanted“, „Count On Me“ or „Inferior“. Egal, ob man es nun „Modern Rock“ oder „Alternative Rock“ nennen will – die Referenzgrößen reichen von hart wie Volbeat bis zart wie Puddle of Mudd oder Creed. Und wem die Ballade „Talented To Hurt“ nicht das Herz bricht, der hat keins. LOFFT – Follow To Survive – erscheint am 12.6.2015 via Make Big Records / Believe Digital / Soulfood!